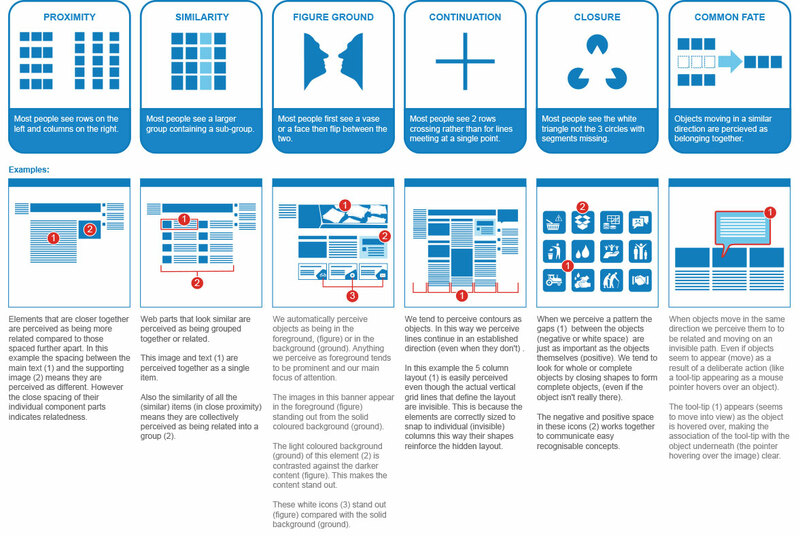 Gestalt Principles describe how people perceive things visually. Understanding and applying these will enable you to design applications that appear simpler, more organised, easier to understand (e.g. information hierarchy) and use (very important you clearly understand purpose). I almost never use the “Gestalt” term with clients though. I instead describe the principles I apply (proximity, similarity, figure ground, etc.) in a language they understand. That’s a nice infographic. Is it your creation? I don’t see very often gestalt infographics contextualizing with other fields of knowledge (like web, or fashion for example). Yours is a nice reference.